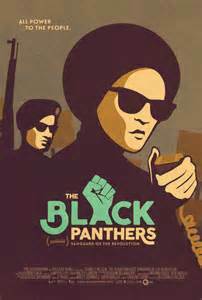 Black Panthers: Vanguard of the Revolution is a full length documentary about the Black Panthers – a party that seems to be eagerly demonized within white America. The documentary goes through the party’s history and what happened but as a warning, it does show graphic images of the kinds of abuse and killings that black people have gone through in history at the hands of white American and white supremacy. A big part of the party’s history and something that the documentary highlights is how much the FBI dedicated to taking it down. The FBI and J Edgar Hoover, much like with Dr. Martin Luther King Jr., spent a lot of time watching and attempting to destroy the Black Panther Party through what is now referred to as COINTELPRO. And the agency found the party to be terrifying and dangerous to the status quo. And interestingly, the FBI found the party’s free breakfast program for children to be far more dangerous than any gun brandished by a Panther. And that’s the thing about the Black Panther Party – not only did they challenge police brutality but the party also instituted a variety of community programs like Free Breakfast for Children and community health clinics. They provided survival programs that helped underserved and oppressed communities in ways that truly helped many survive day to day life. We as White America are so willing and feel it so necessary to preserve lies about organizations like the Black Panthers because they challenge the status quo that protects us as white people. And fifty years later, there’s still a lot to learn about the party. In any conversation about the Black Panthers, it’s important to talk about political prisoners, as way too many of the party’s members ended up dead or behind bars. The COINTELPRO operation went out of the way to allow for the policing, jailing, and killing of political radicals, including the members of the Black Panthers like Sekou Odinga, Jalil Muntaqim, and Assata Shakur. It was just today that the last of the Angola Three was released. There are some who compare the Black Panther Party with the Ku Klux Klan and who eagerly paint the Black Panther Party as a terrorist organization. 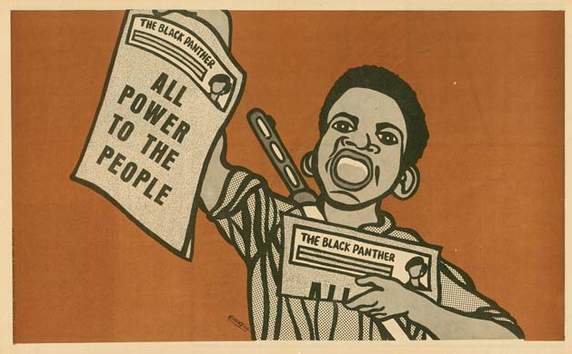 Manny Otiko wrote about why the comparison between the two groups is wrong – primarily focusing on how in the Black Panther Party’s ten point manifesto does not talk at any point of committing acts of violences against white people. As white people, we often collectively see black power and a call for justice as terrorism but fail to account for all the violence and systemic injustice done in the name of whiteness and white supremacy. And stopping that is long overdue. ← White Feminism™ needs to talk about race. Literally couldn’t have said it any better! I definitely need to get this movie. Thank you! And the movie is streaming (and free) on the PBS website for the next month or so!